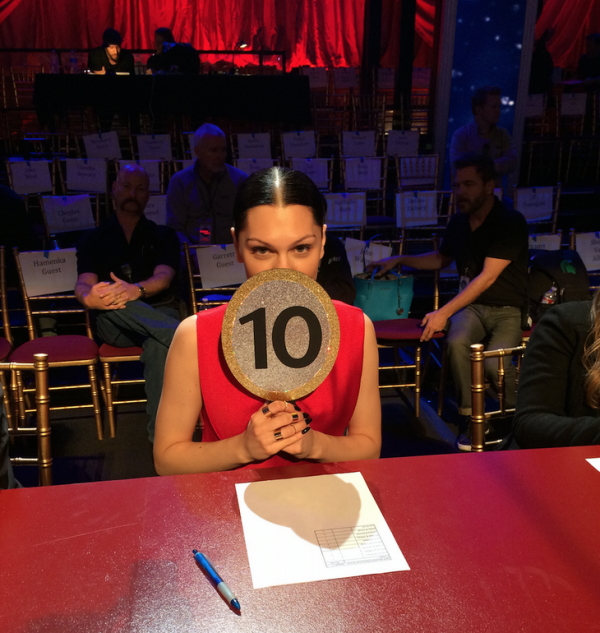 Jessie J is is on attack with her vocals on another (and might we add her best) performance of "Burnin' Up" on the Dancing With The Stars show last night. Flanked by the DWTS dancers Jessie kills this performance even going freestyle with her vocals show us this UK killer can sing her mouth off. Watch Jessie J below perform Burnin' and her other jumbo hit "Bang Bang." Jessie J's new album Sweet Talker is out TODAY!